CyberConnect2, the developer behind the acclaimed Solatorobo: Red the Hunter, is currently collaborating with Capcom on Asura's Wrath for PlayStation 3 and XBOX 360, but what would CEO and President Hiroshi Matsuyama like to work on next? When posed the question recently, his answer was none other than the freshly cancelled fan-driven Mega Man Legends 3. It would be Mega Man Legends 3. I really like the series! Though the odds may stand against the project's resurrection under new development, the fact that the head of a respected company that's already working with Capcom is interested might prove great news. At the very least, it's good to hear a notable voice speak in favour of the franchise. Make sure to read our Solatorobo review to find out why the game's taking such a direction would look very promising indeed. It would be great if Capcom would let them pick the game up, but I don't think it will happen any time soon. That would be amazing. Com'on Capcom, it doesn't get any easier than this!!!!! I'm not going to get my hopes up but it would be fantastic news if they could pull this off. I want to work on Mega Man Legends 3 as well, but that doesn't mean it's going to happen. I would settle for just being able to get a copy of Solatoboro. I wish there was hope. Unfortunately Capcom isn't interested in it. This doesn't sound like much of a glimmer of hope even. Just because he expressed interest doesn't mean anything is going to happen nor that its being worked on. Tired of hearing about it really as its just a reminder of the slap in the face Capcom delivered. Well that's a nice thing for Solatoboro to do for us. If Capcom accepts, (Which is highly doubtful), then I will be happy. Yeah, well I would like to work on Halo Wii 2, but that's never gonna happen. Yeah and i want to rule the world. Like that's gonna happen. 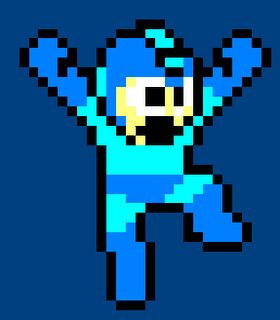 Screw Legends, I want Mega Man11! It is interesting... on the live stream they basically said they haven't the resources to make games like Legends 3 - fan loved but not so profitable - so maybe they'll let someone else make the game. It would be great, but I don't see Capcom backing out of their cancellation announcement. And I would rather have Megaman X9 before Megaman 11. When a game is cancelled doesn't that mean there's no going back? I mean... When you're dead that's it right? Anyways it's looking like Mega man 9 and 10 was Capcom's way of saying goodbye to our blue hero. The next time we all hear any news about a new Mega man game we'll all scoff and say.... Yeah right. Ya and I want to say something random and pointless and expect people to laugh at it, but that's never gonna happen. The game already has a development team...that really loves the game. Not sure how this would change anything. Capcom doesn't care about us or the game. god bless them, Solatarabo would be mine if I had more money, but this would likely change nothing. It's Capcom themselves that don't want it made. And I would still trust the current team more personally but that's just me. No, I don't think this is new hope, because i think with Inafune gone, Crapcom is completely finished with making anything to do with Mega Man. Exclusion of the Blue Bomber from UMvC3 is evidence of this. You'll hear nothing else from Crapcom from here on out about MM, because they're done with him. This couldn't be any clearer, without an official announcement that they'd never give, for fear of angering fans. Mega Man is done, except for rereleases of old games on VC, etc. Crapcom would rather do 1001 Resident Evil remakes. These are just the sad facts. Not sure if it's retribution against Inafune or disinterest in continuing the Mega Man franchise (or both). I don't even think they're even going to re-release old games on the VC anymore. The last VC release was before MML3 got cancelled. Notice how the European VC STILL lacks Mega Man 5 AND Mega Man X while America got them both before the cancellation? Also, the Game Boy version of Mega Man 1 is STILL only on Japan's eShop. If any 2cd/3rd party studio can do a good job, I'm all for it ~ that studio taking over the project. I haven't seen a game get this much publicity over being canceled in a long time. I definitely would support a CyberConnect 2 developed Mega Man HD console game. They are a great developer. Passionate, talented, with a grasp of all current hardware from the DS to the PS3. And you look at their portfolio - Asura's Wrath, Naruto Ultimate Ninja, .Hack, Tail Concerto - and they definitely have the chops to make a killer, proper, big budget, well produced Mega Man title. One that would have a great RPG base and intuitive action that looked insane. And still somehow be stylized and charming. I am definitely all for this idea. Capcom clearly doesn't want to work on a Mega Man title in-house. Let CC2 give it a shot! It's a nice gesture for sure, but most likely never happening. Yeah, Cyberconnect 2 does magic, so let them get MML3 and I'll freakin' buy it ! Oh and Capcom : Let them make Strelka Stories (they need a publisher in order to kick-start the project)! It would be great if the project would be resurrected, but I don't think it will happen. The minds behind Solatorobo working on Mega Man Legends 3? i would personally LOVE for CyberConnect 2 to champion the Mega Man series at this point. Those guys are one of the best developers in Japan right now. Their Naruto Ultimate games, visually, are world class - I have literally seen no cel shader (in games OR tv and movies) look as good as the one they use in those HD games. Also the action is intuitive, easy to pick up and insanely epic. Also, Asura's Wrath. They are masters of current tech; from the DS to PS3. And their RPGs - both the Tail Concerto/Solatorobo series (which is, tonally, similar to Mega Man Legends), and the creative .hack// series - are pretty great. Oh wouldn't that be cool! I don't care if this game releases TBH. I just want Capcom to give me Phoenix Wright 3D. Then we'll talk.